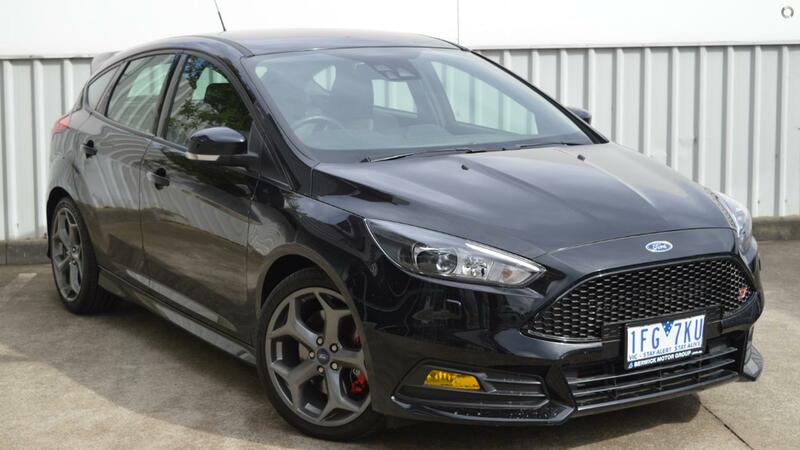 We've just traded this neat little Ford Focus ST. It is in great condition and is a blast to drive! With a powerful 2.0L 4cyl turbocharged motor and go-kart like handling, this little beast is sure to put a smile on your face! Don't miss out! ^ $112 per week is available to approved applicants only. WARNING: This comparison rate is true only for the example given and may not include all fees and charges. Different terms, fees or other loan amounts might result in a different comparison rate. Excludes government, rental and national fleet customers. This offer is based on a consumer loan with 60 monthly payments of $483.81 and an APR of 9.99% with $1,000.00 deposit and a balloon payment of $7000. Total amount payable $37,028.42. Conditions, fees and charges apply. Hallam Pre-Owned Cars reserves the right to vary or withdraw this offer.